Meet Emily Harmon, a volunteer intern for the Museum’s Summer Camps, which wrap up August 4. 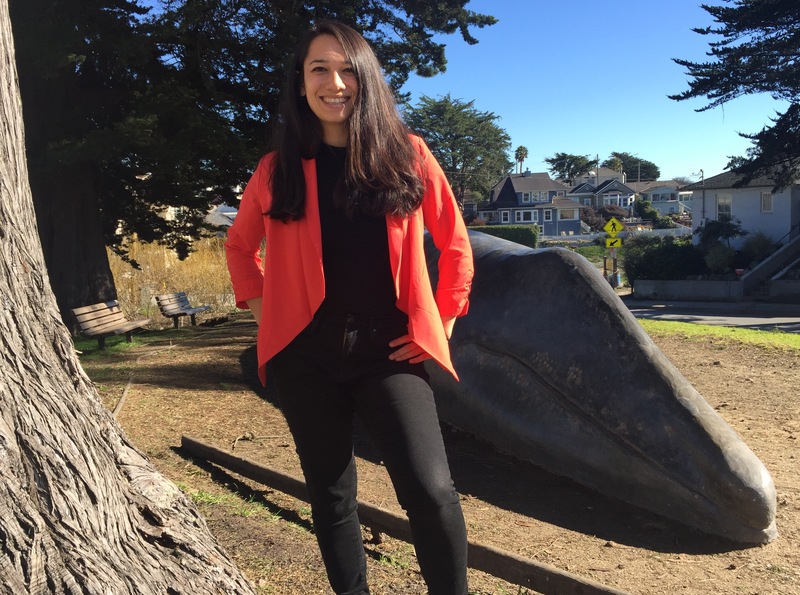 Emily grew up in Santa Cruz and is pursuing her undergraduate degree in history from Mills College in Oakland. 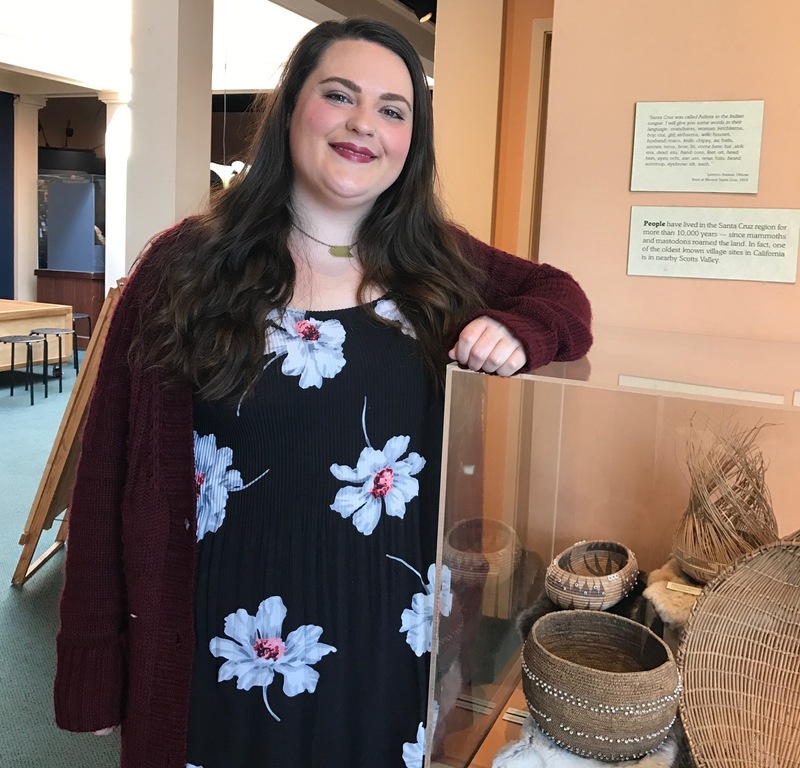 Visiting the Museum’s Ohlone Room in the third grade made a lasting impression on Emily, and when she was seeking volunteer opportunities during her summer break, she thought of us. Since early July, she’s been our Summer Camp intern, learning informal science education techniques and leading activities about ocean tides, pollination among Monarch butterflies, and fossil excavation. Emily is one of about 85 regular volunteers at the Museum. Volunteers contributed more than 3,600 hours of service at the Museum in the fiscal year that ended in June. Frank Perry is an institution within our institution. Frank’s professional relationship with the Museum dates back to his time as a student at Soquel High School, when a stint as volunteer led to a job during college. Several decades later, we are lucky to still have him today as a freelance exhibit creator and an irreplaceable resource of knowledge about our history and collections. 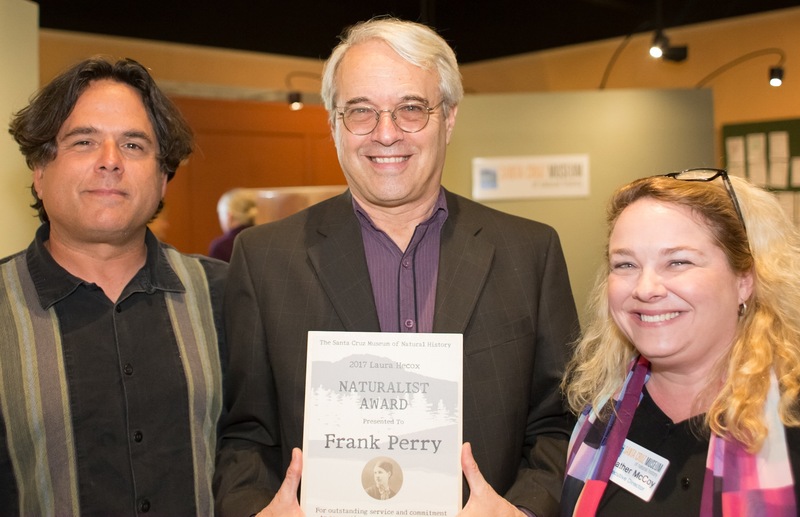 In June, the Museum presented Frank with the annual Laura Hecox Naturalist Award, which honors our founder’s love of nature. As a naturalist who is as comfortable leading a hike as he is examining fossils, Frank personifies the Museum’s mission of communicating the importance of the natural world. After volunteering to catalog fossils at the Museum in his teens, Frank was hired to work the front desk on Sundays. He was employed at the then city-owned museum throughout his college career, first at Cabrillo College and later at UC Santa Cruz, where he earned a degree in Earth Sciences. One of Frank’s professors was Dr. Gary Griggs, the renowned marine sciences researcher who received the first-ever Laura Hecox Award in 2016. For Frank, building a career around museum life was a natural fit. “As a kid, I loved museums and had my own nature museum at home,” he said. Eventually, he became the Museum’s unofficial collections manager, learning a great deal from longtime Curator Charles Prentiss. Frank’s first wage was $1.95 per hour. Frank went on to work for the California Academy of Sciences in San Francisco as a curatorial assistant before coming back to Santa Cruz and working most of his career as a freelance exhibit creator for the Museum of Natural History, as well as other museums and park visitor centers in Monterey, San Mateo and Santa Cruz counties. As someone who knows the Museum’s collections better than nearly anyone, Frank also was hired in recent years to help the Museum deaccession items determined not to be central to its mission, an ongoing process that has resulted in transferring more than 100 items to the Museum of Art & History and other museums. 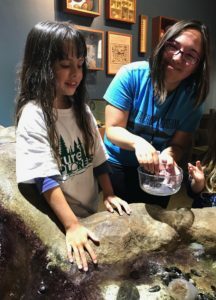 Joining the Museum’s volunteer ranks in February 2015, Dani Lucido is a docent for our Ohlone Program, which educates thousands of local elementary school students each year. She graduated in 2014 from UC Santa Cruz with a degree in anthropology and started as a volunteer for Museum events. By Fall of 2015, she was a part-time intern with our Education team, later increasing to full-time to help revamp the Ohlone Program. Dani will work at the Museum through the end of June, after which she will begin pursuing a degree in Native American law. If you are interested in volunteering with the Museum, contact volunteer@santacruzmuseum.org. Nancy Lenz, champion of Pilkington Creek, is a veteran volunteer with the Museum. After retiring to Santa Cruz from Berkeley in 1990, Nancy became connected with the Museum, which is near her home in Seabright. For several years, she did Museum publicity as a volunteer before spending countless hours in the gardens encircling the Museum. 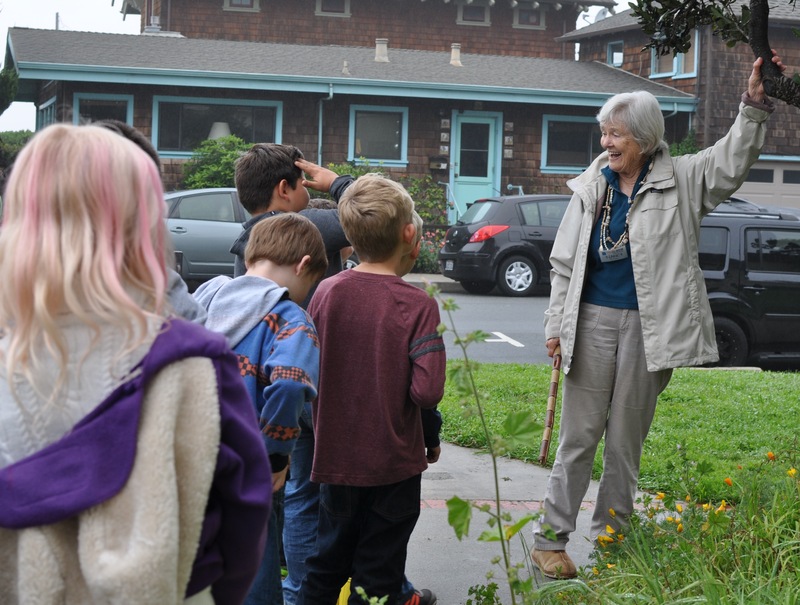 Nancy has learned the names and Ohlone uses of plants such as beach strawberry, pink flowering currant and Indian soaproot that surround our historic building. Volunteers under her watch have recorded 1,200 hours since 2010 working on Pilkington Creek, which flanks the east side of Tyrrell Park, to remove non-native plants. While the creek and gardens around the building are much improved, there is much more planting Nancy would like to do. “Live each day like it was your last, and garden like you’re going to live forever,” she said, quoting William Kent. Anyone interested in supporting the efforts to restore Pilkington Creek, to work in the garden around the Museum or to co-lead our Ohlone Programs, please contact the Museum at volunteer@santacruzmuseum.org. Liz Broughton, Visitor Services Manager, is the Museum’s longest-serving current full-time employee, having joined the team in October 2010 after graduating from the University of Washington’s master’s degree program in museology, museum studies. 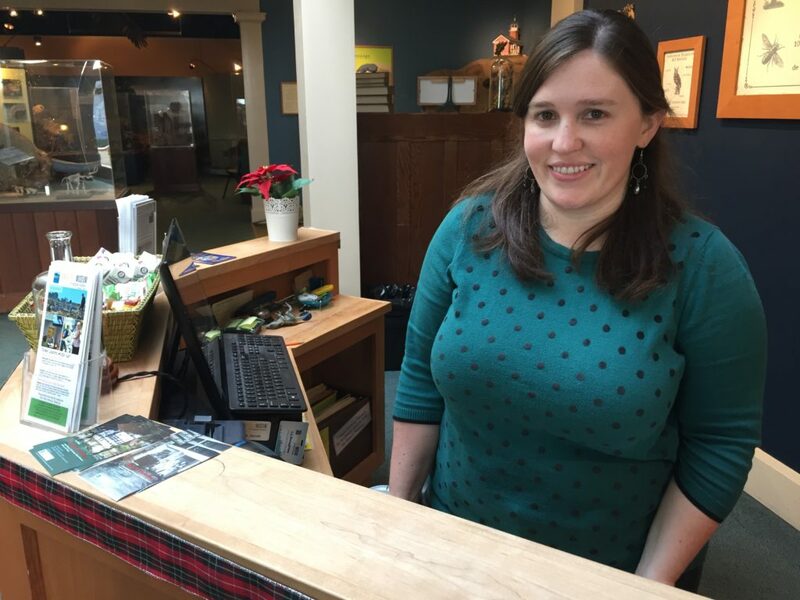 She has served many roles at the Museum, starting as an admissions attendant and working her way up to a portfolio that includes managing exhibits, admissions, and the store. Liz is often found welcoming guests and school tours at the reception desk just inside the Museum’s entrance. 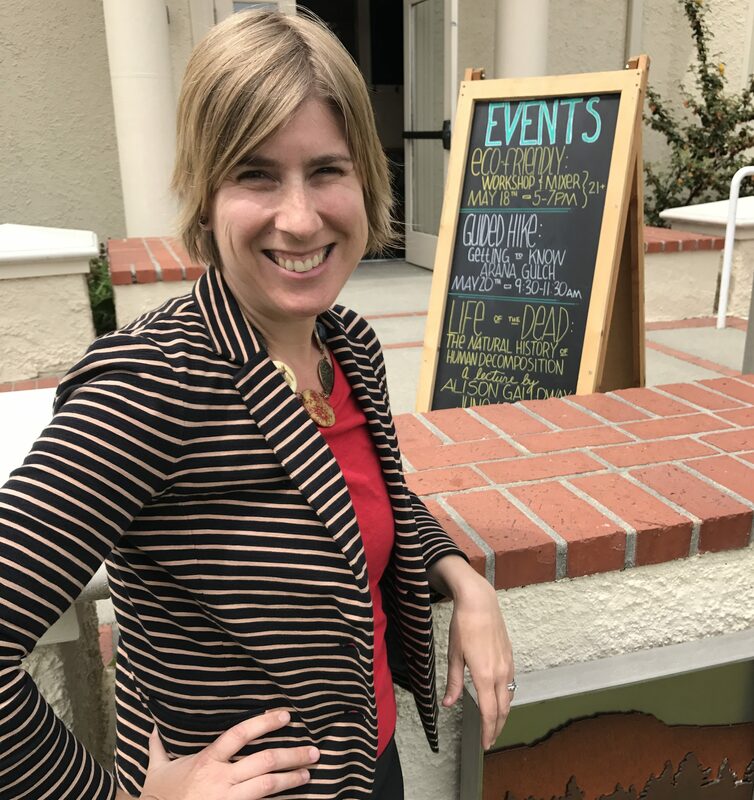 A native of the San Lorenzo Valley north of Santa Cruz who likes to hike in Henry Cowell State Park, Liz developed a love of museums early in life and was inspired in college to make a career of it. Liz decided to pursue a career in museum work after earning her undergraduate degree at UC Berkeley in anthropology and Celtic studies. She served internships at the Hearst Museum of Anthropology and performed research on Museum of Vertebrate Zoology specimens before attending graduate school in Seattle. There, she interned with the Experience Music Project, Woodland Park Zoo and Burke Museum of Natural History and Culture.